If you have followed my blog for while you know I am a big fan of coffee and enjoy frequenting the many great local coffee shops we have here in the Triangle. As we approach the holidays I wanted to share that local coffee shops are also a great source of gifts for the coffee geek in your life. Most shops sell bags of fresh locally roasted coffee and home coffee brewing equipment like pour over cones, mugs, and coffee servers. If you aren’t sure what to get another convenient option is a gift card. 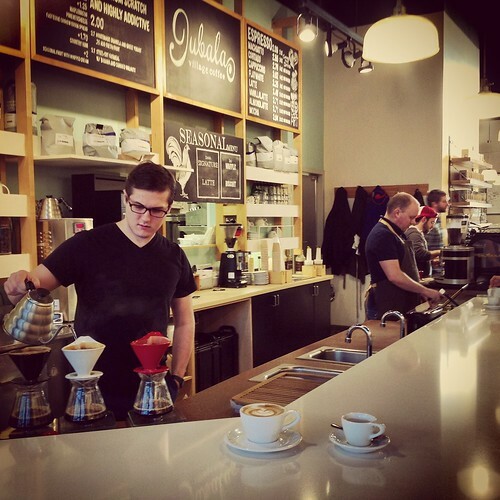 Your local coffee shop is a great way to shop local. Below is a quick list of some of my “go to” places for local coffee, home brewing gear, and gift cards. * = Home coffee brewing equipment also available. Mmmm, you got all of my favorites on this list!